Ah, the best way to spend a birthday is by working on art! Emma’s wavy chest hairs have taken form. Feet are taking form too. 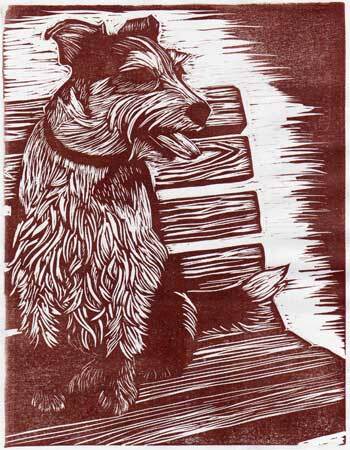 This print will probably be titled “Sit”. Tomorrow I’ll need to get back to work on the Portal piece since the due date is approaching. Then there is the Nov 17th critique night…. will I have something for that event?? No worries right now. Think it’s time for a good dog walk up in the woods!